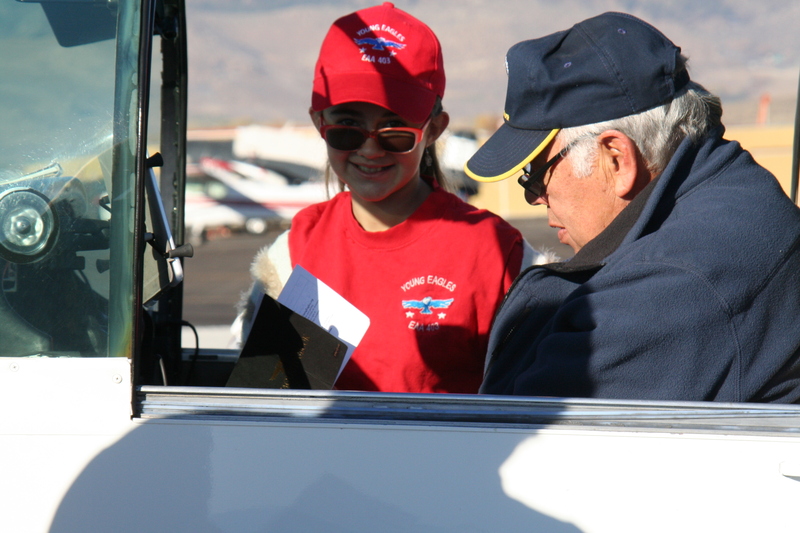 As the newly elected president it is my goal to have this organization be a POSITIVE group of like minded individuals who enjoy aviation. 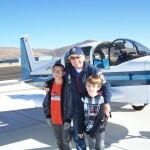 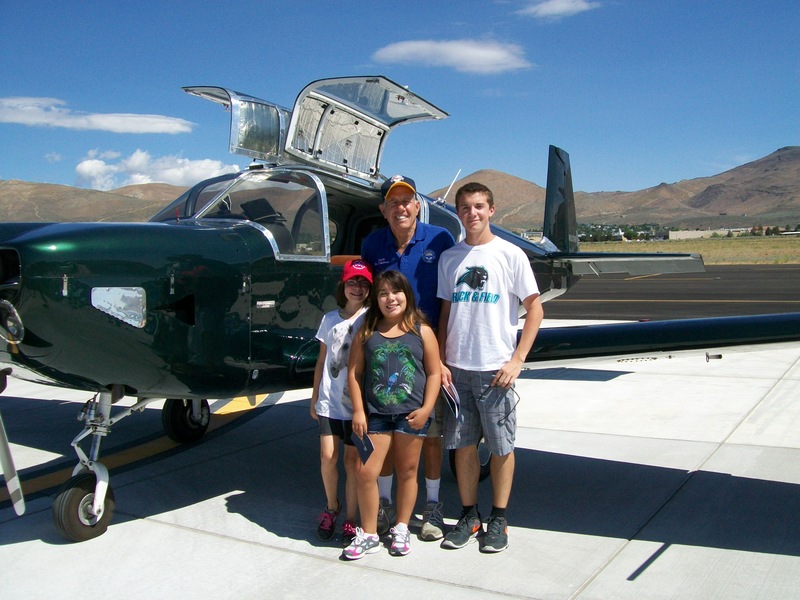 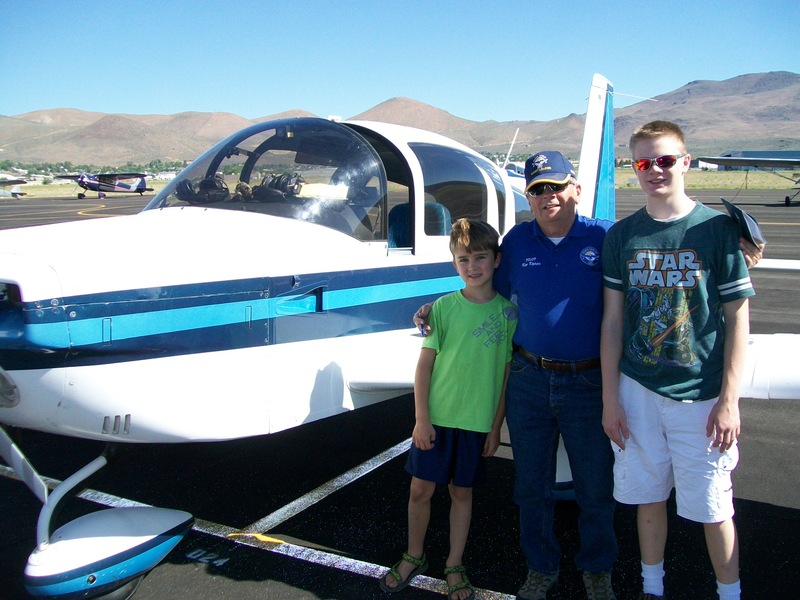 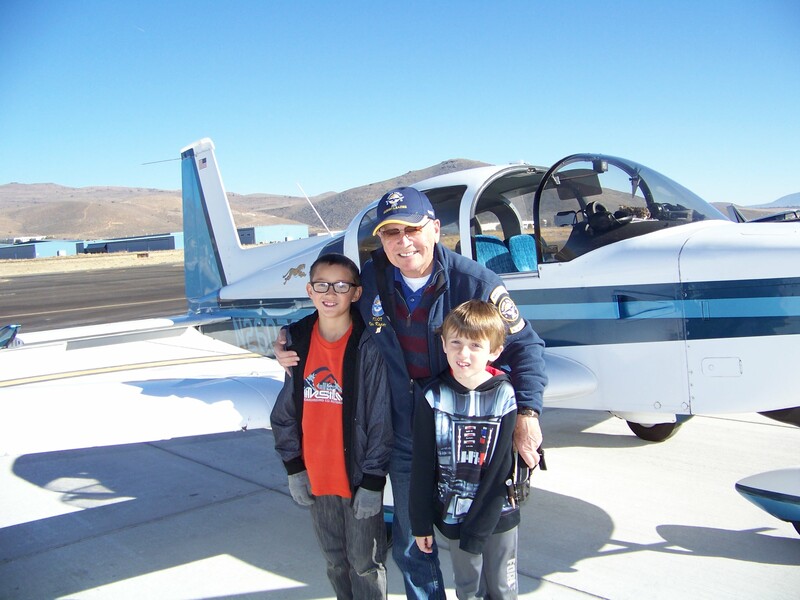 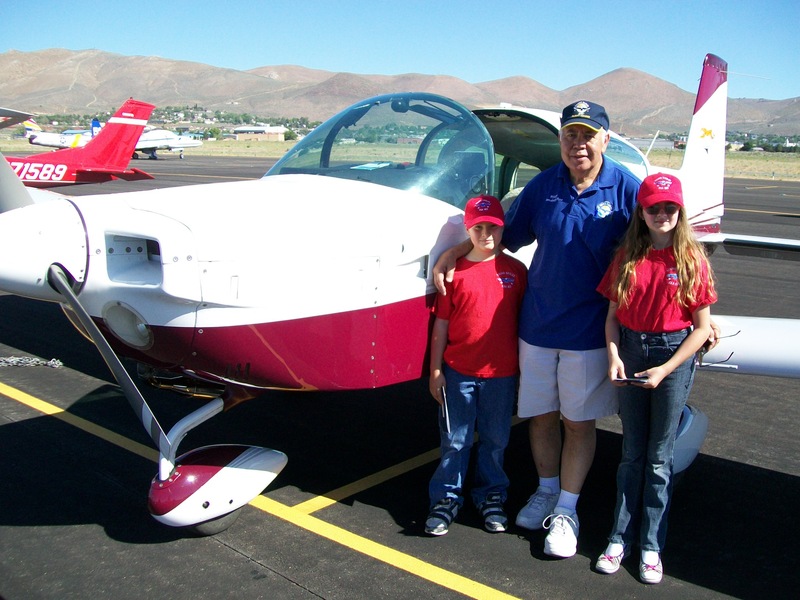 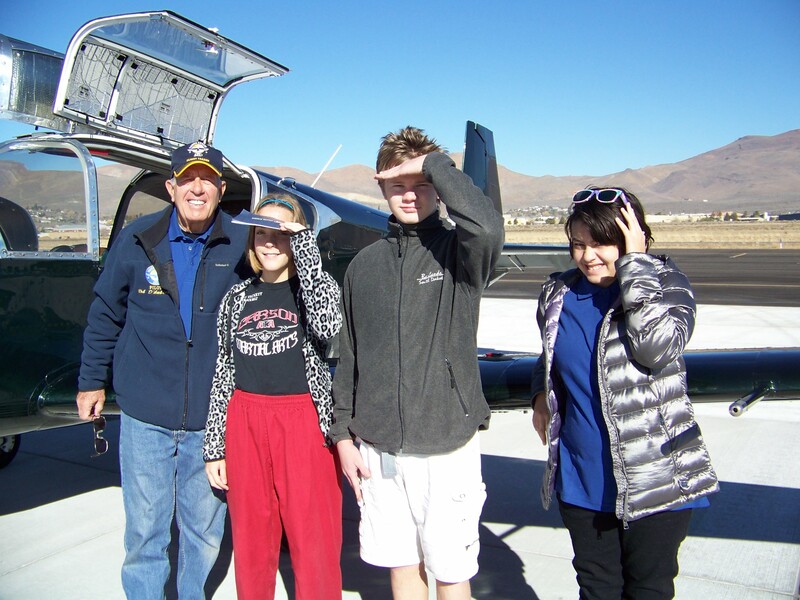 As a community member and a parent, I have found this chapter EAA 403 opens doors for students to reach their aviation goals. 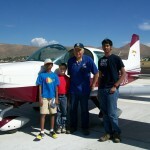 I want to help facilitate this within our community. 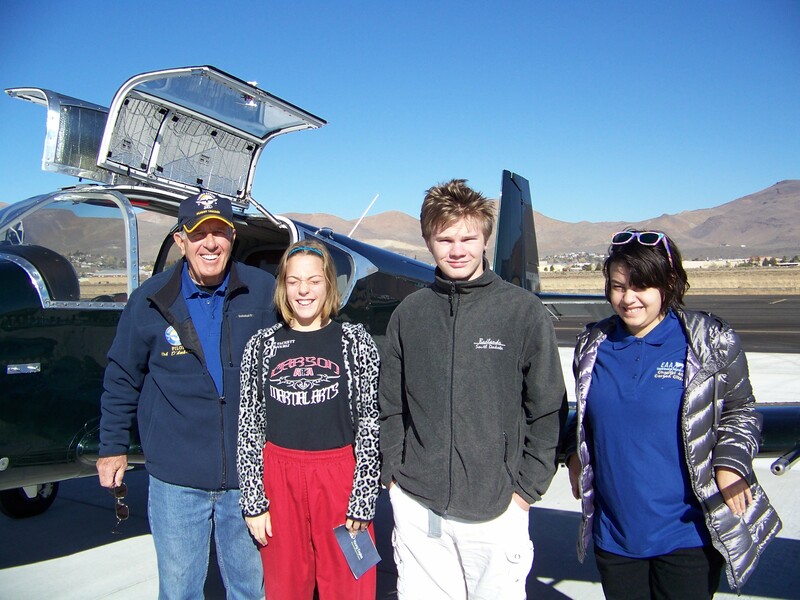 I was very proud to listen our newest chapter sponsored Young Eagle EAA Air Academy Cadet speak about wanting to become a pilot to help deliver medicine in rural areas of the world. 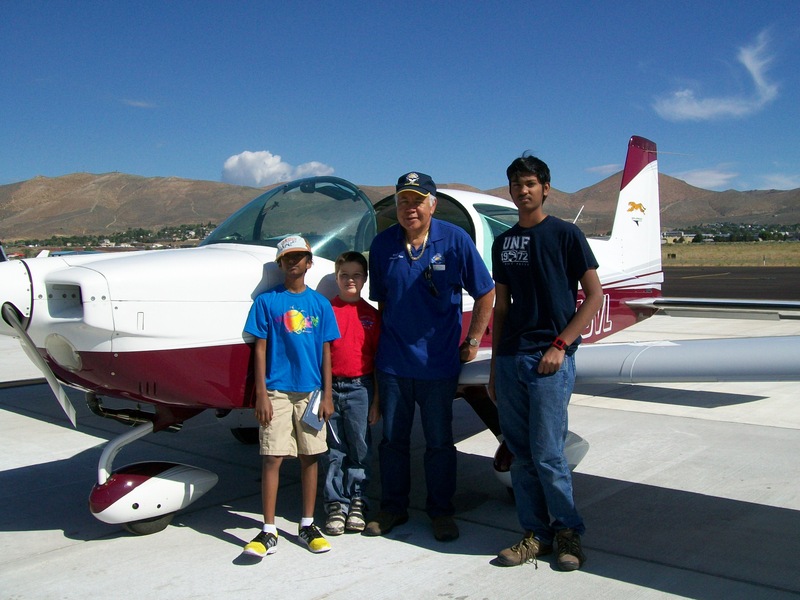 Medicine is my career and seeing it unite with aviation makes me eager to be a part of this organization that teaches the future pilots. 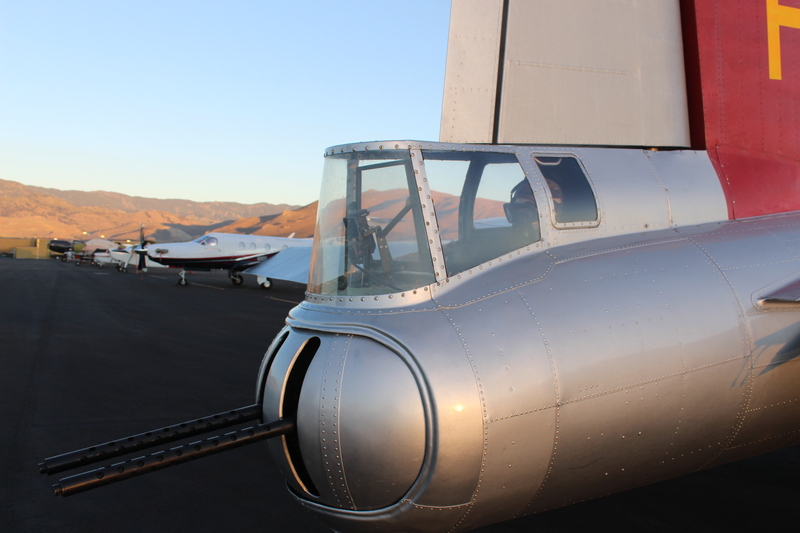 Here’s to a great 2016. 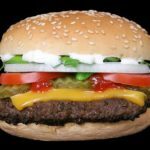 ~ Bret M. Bellard, M.D. 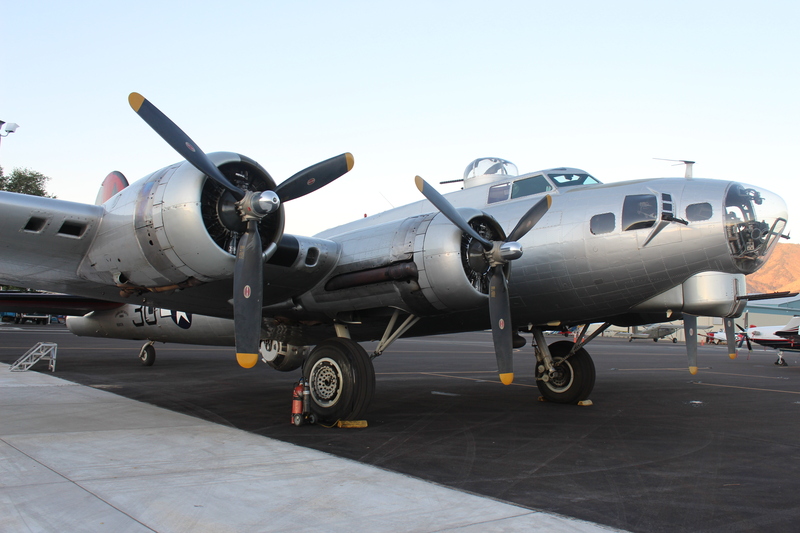 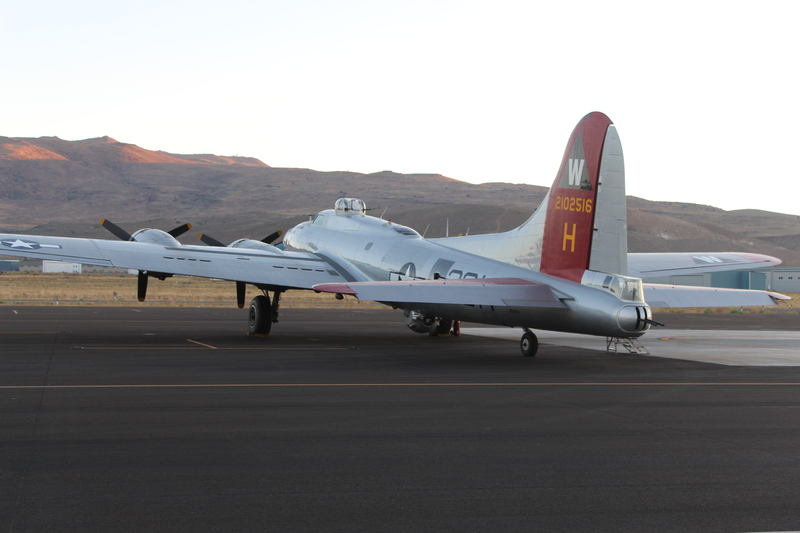 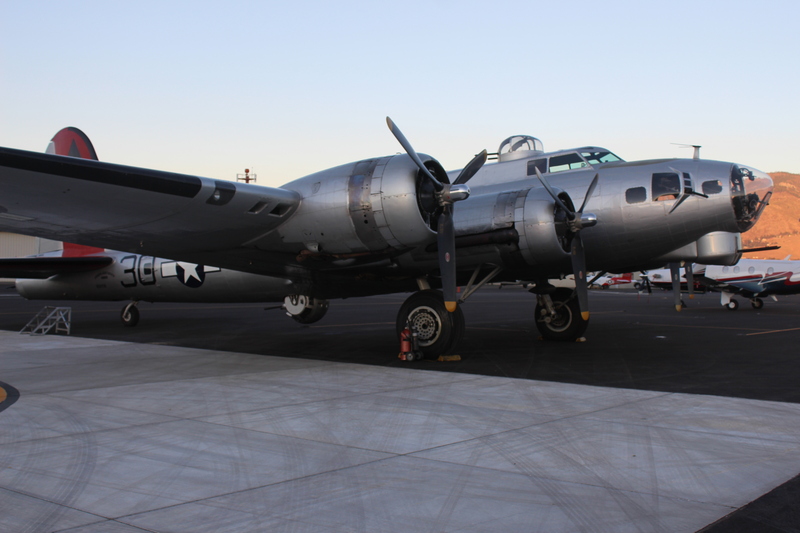 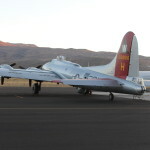 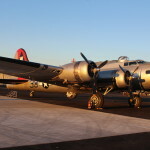 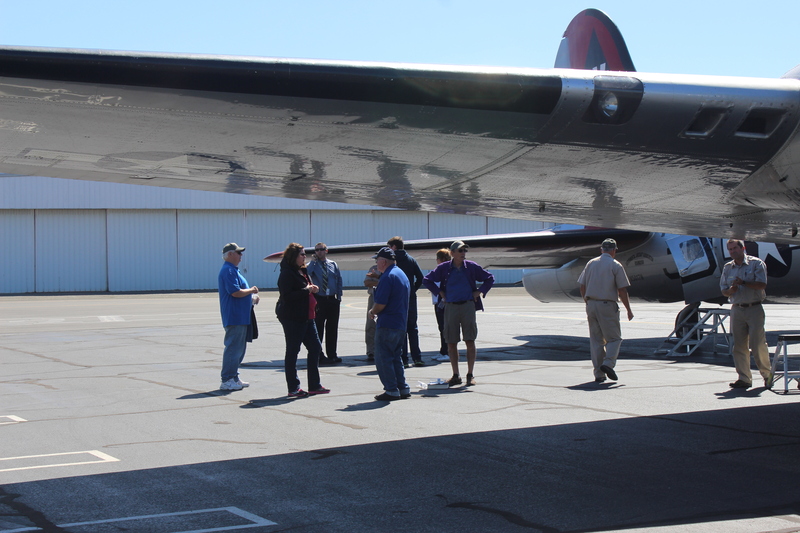 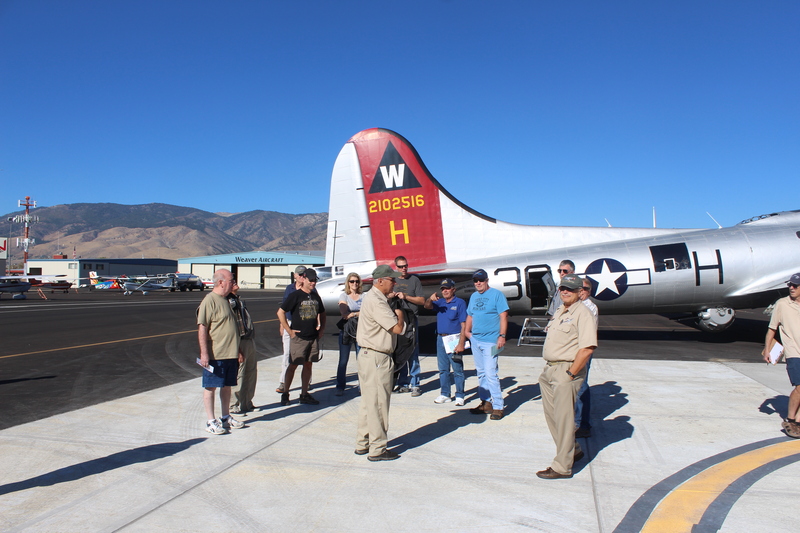 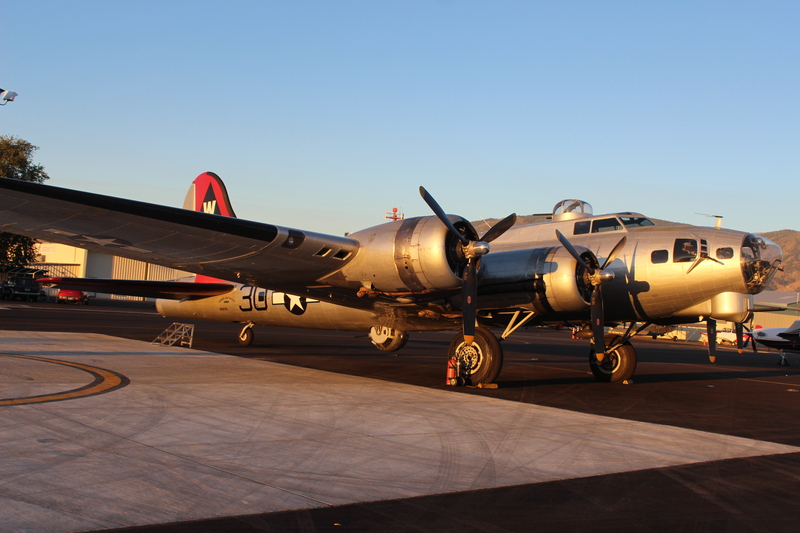 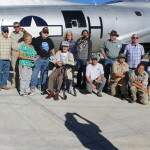 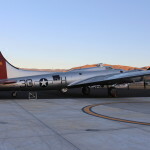 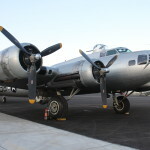 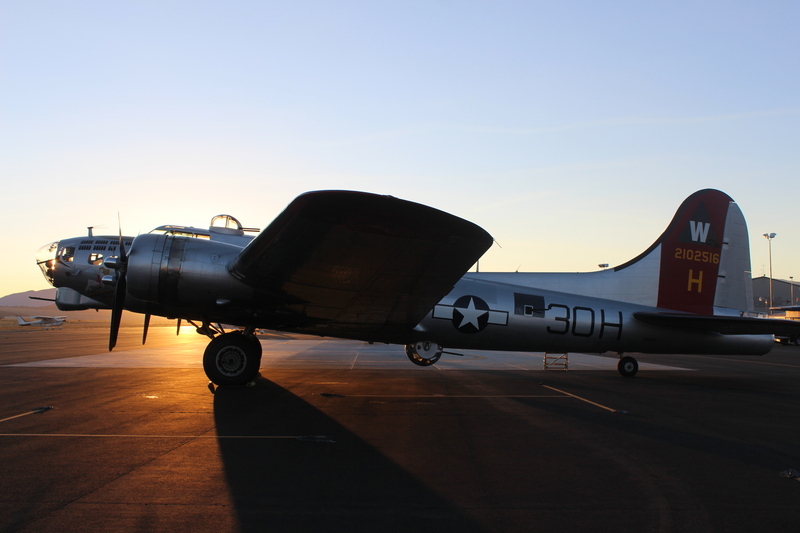 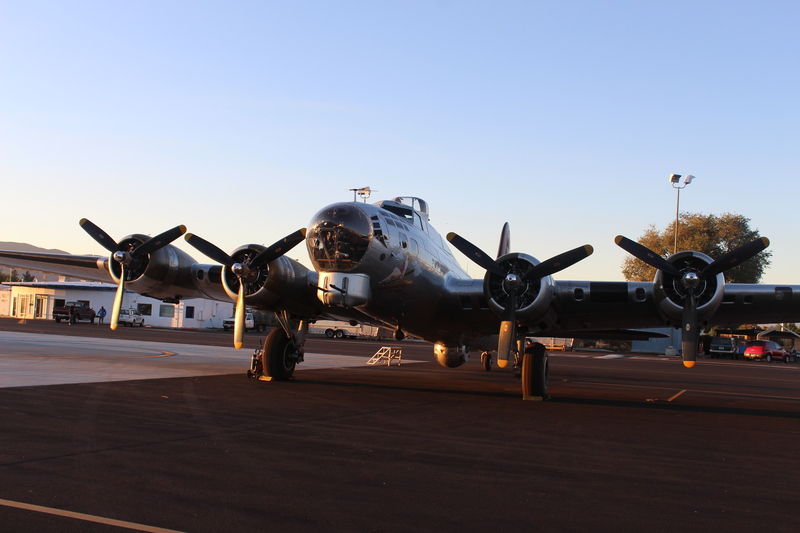 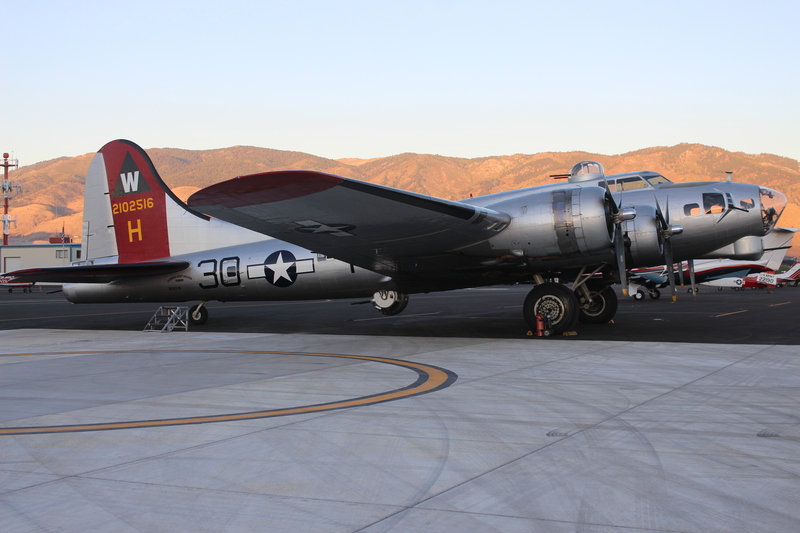 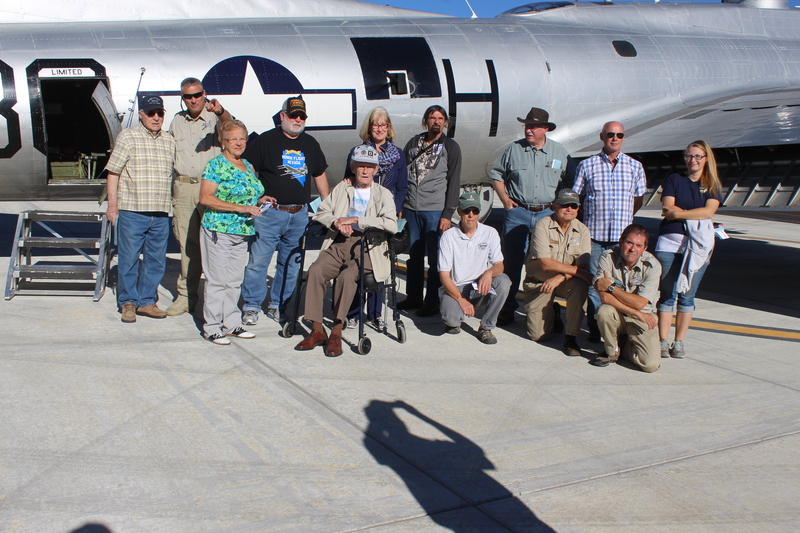 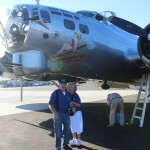 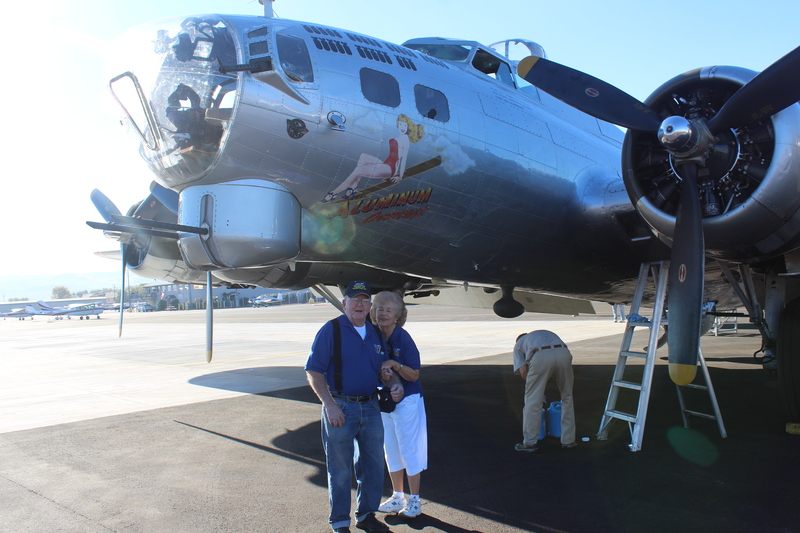 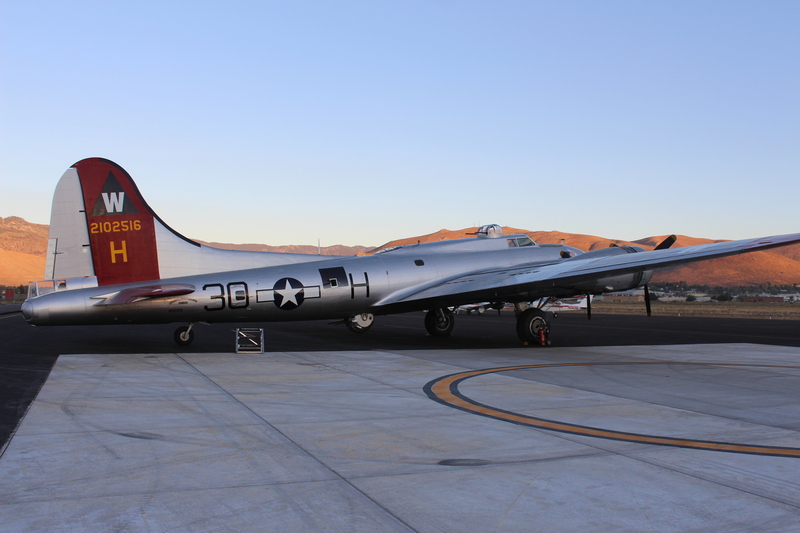 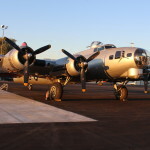 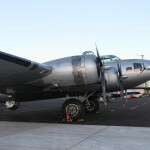 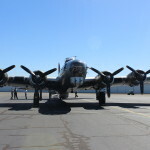 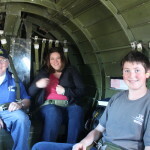 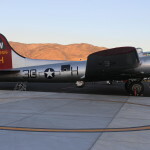 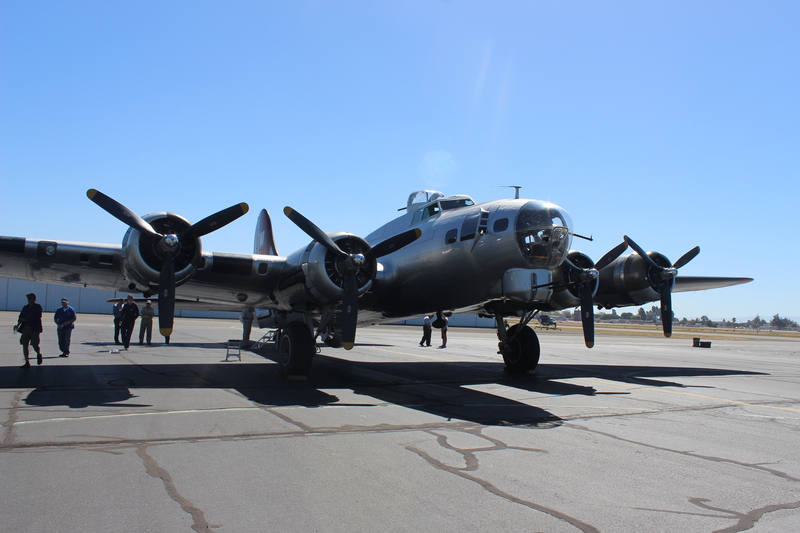 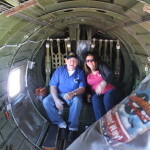 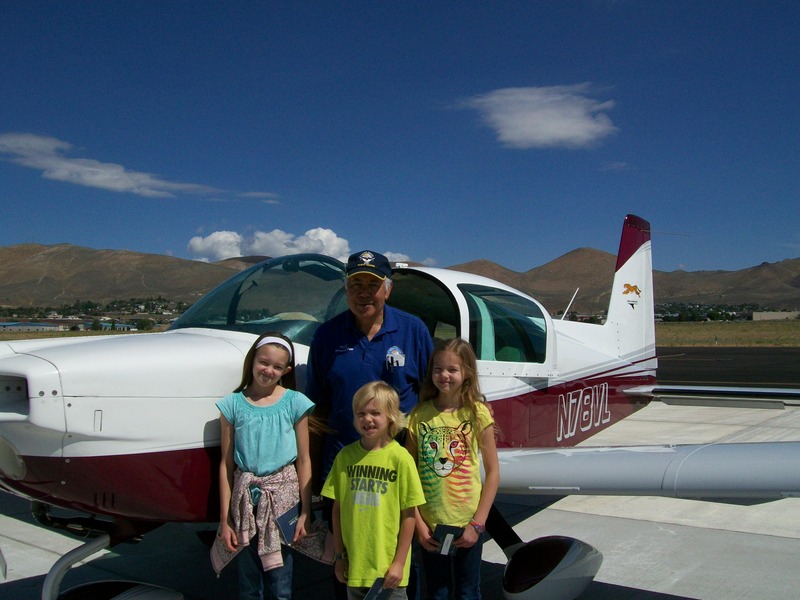 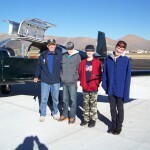 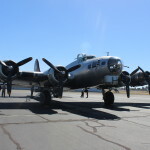 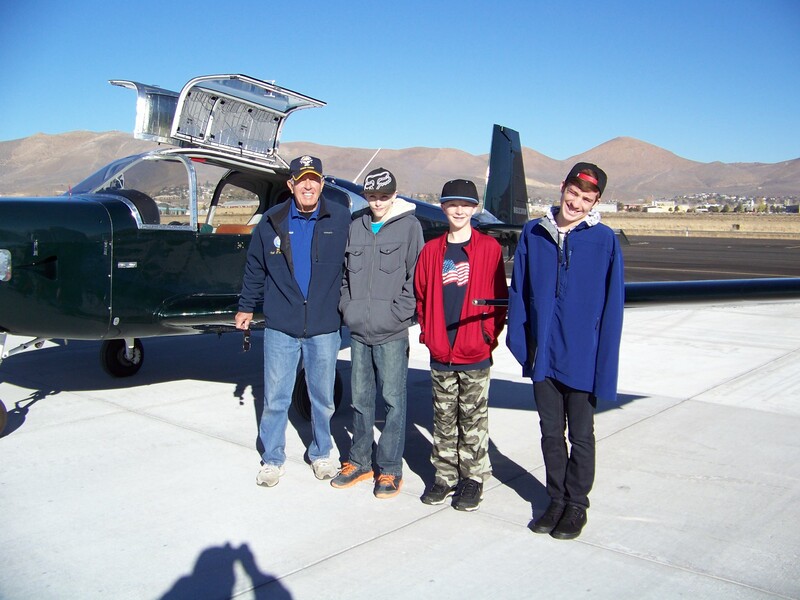 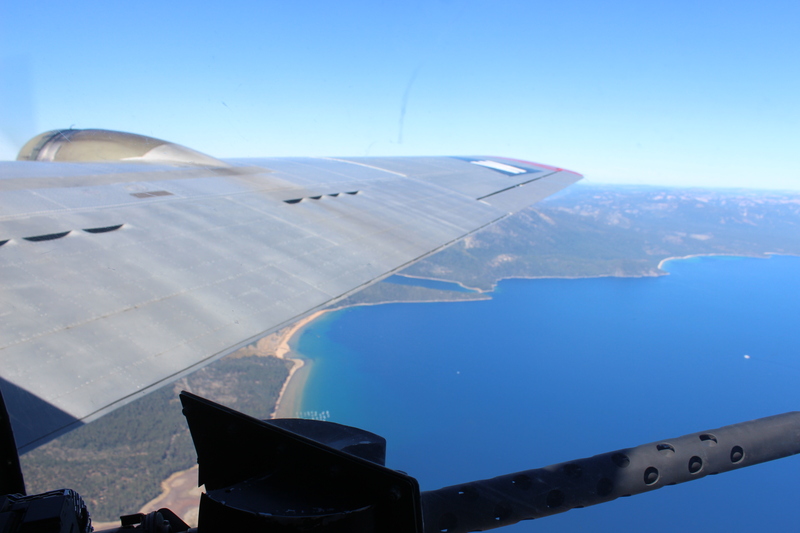 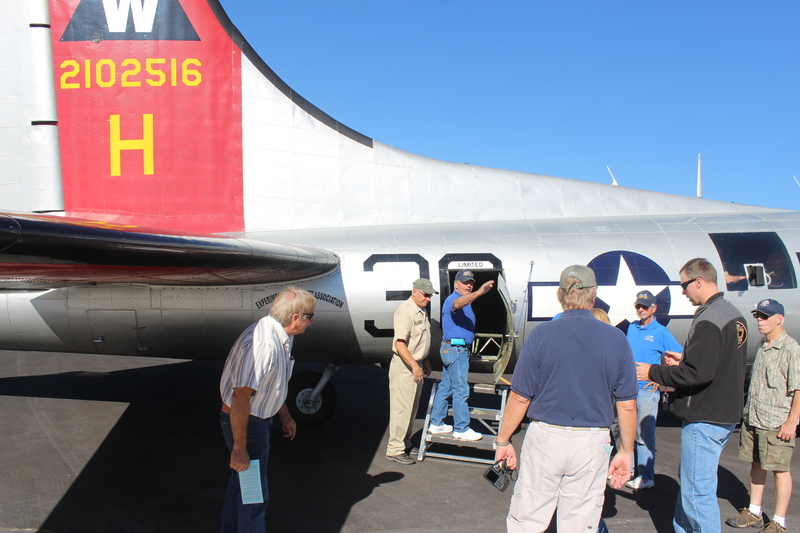 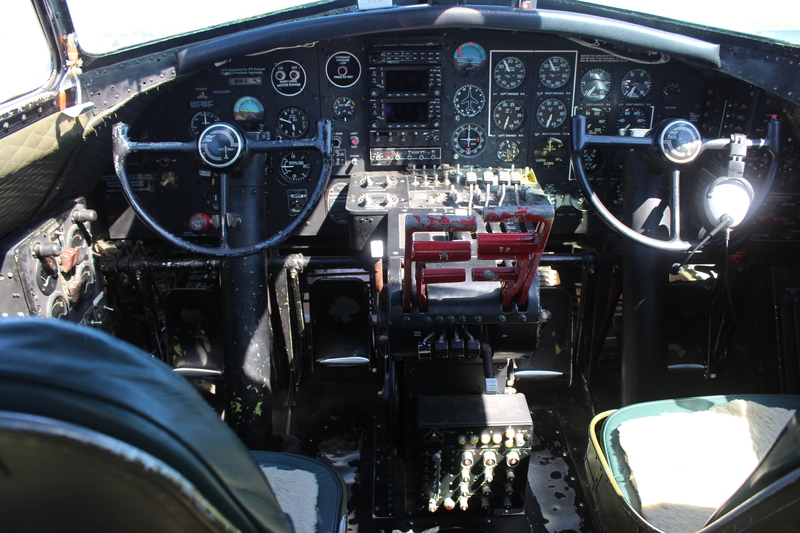 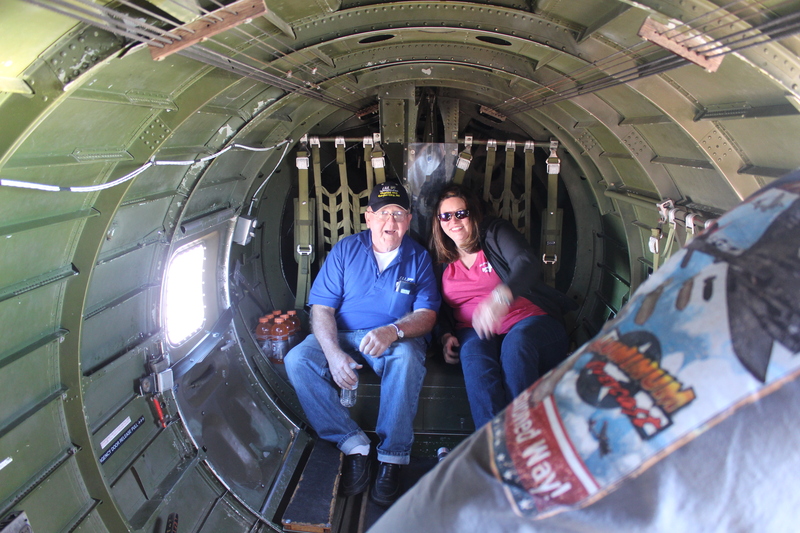 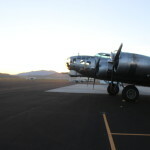 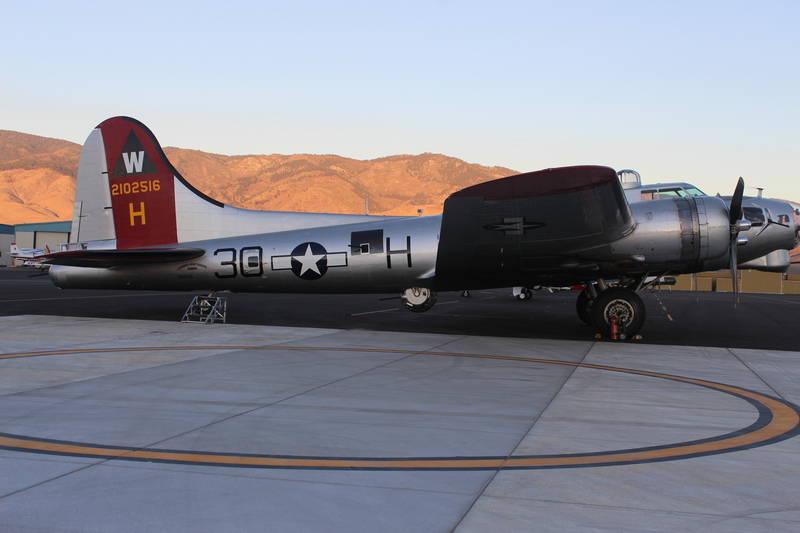 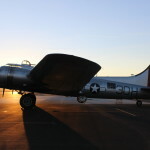 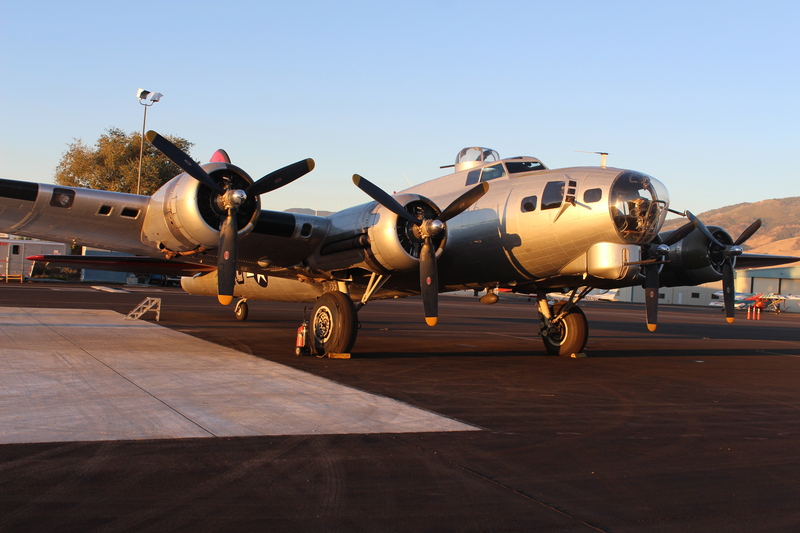 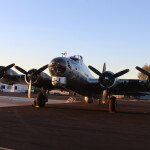 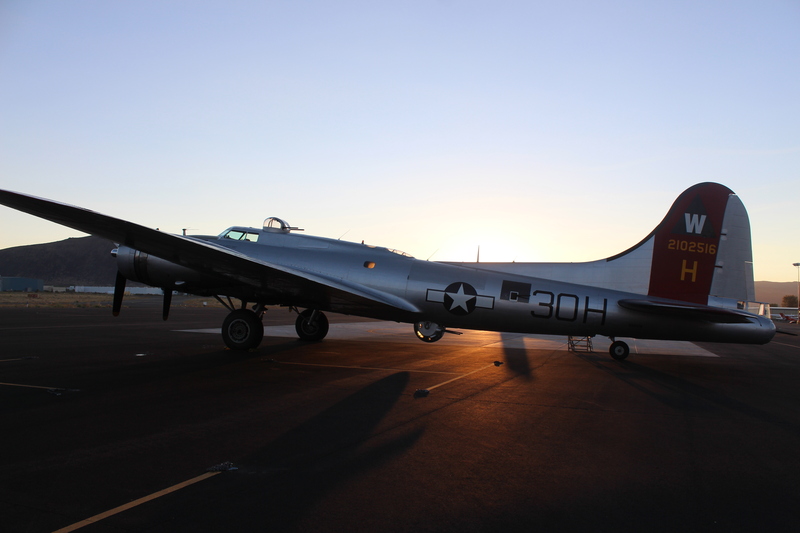 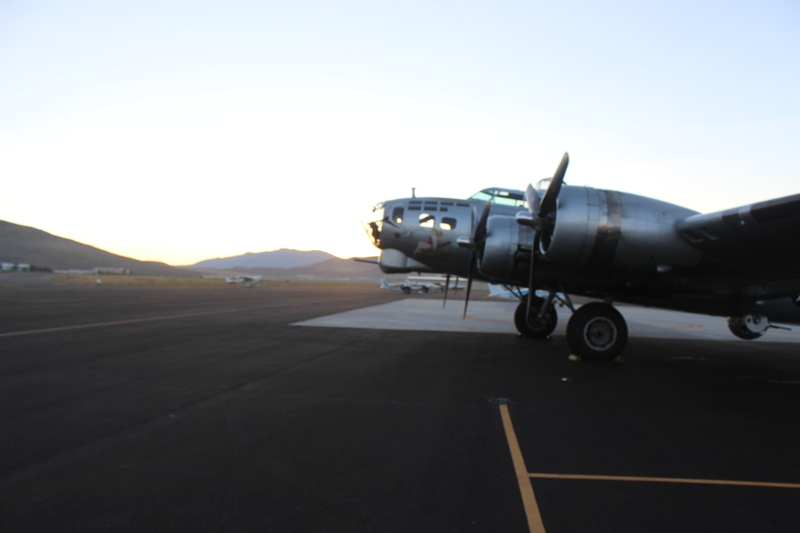 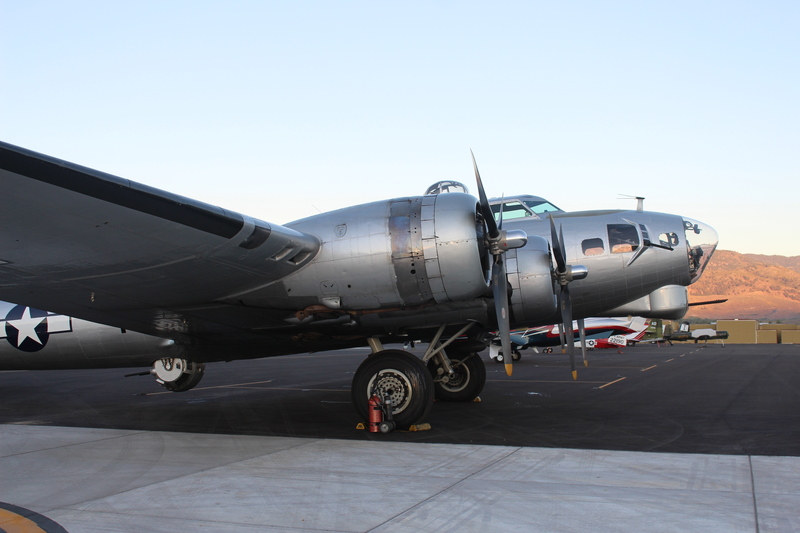 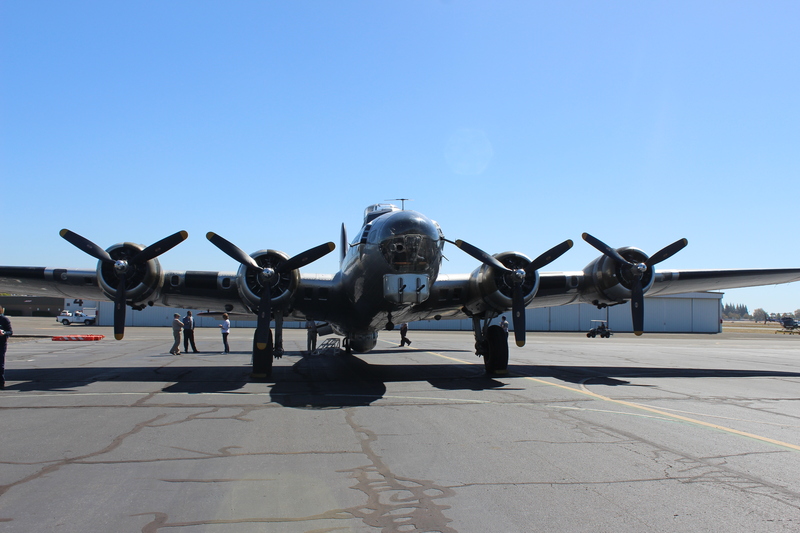 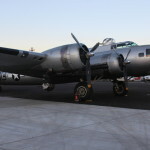 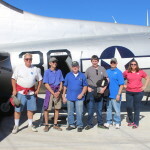 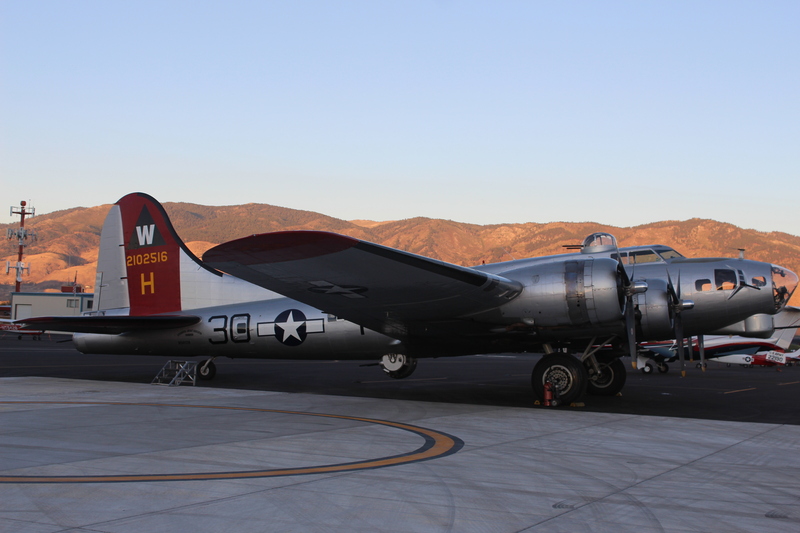 The B17 Aluminum Overcast visited Carson City Airport and was sponsored by the EAA403. 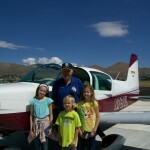 It was quit a sight, giving rides and tours. 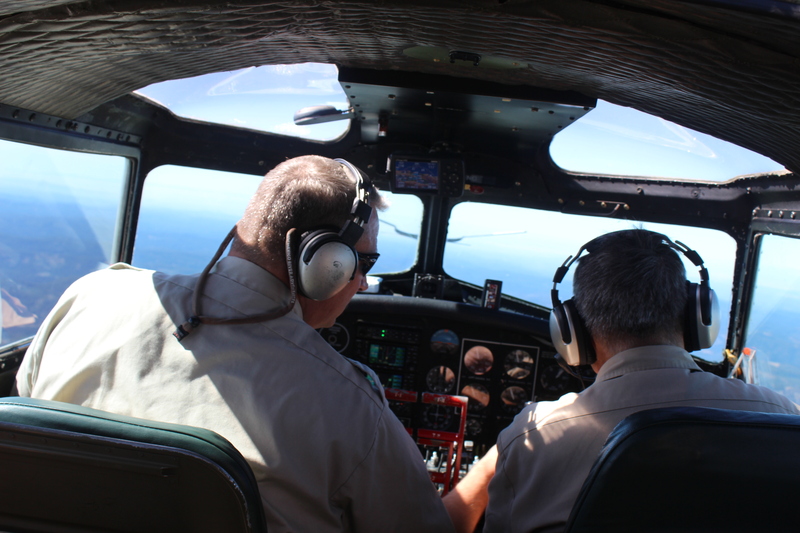 The plane arrived around 3 PM on Monday September 21. 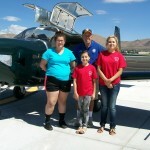 Early Tuesday morning, Channel 11 news in Reno, had us on the news at 7:00, 7:30 and 8:00 AM promoting the event, and then also on later during the day. 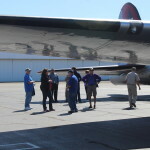 Tuesday mid morning the plane gave rides and then was open for tours in the afternoon. 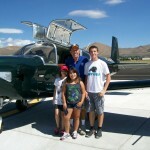 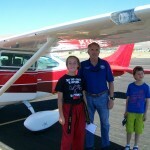 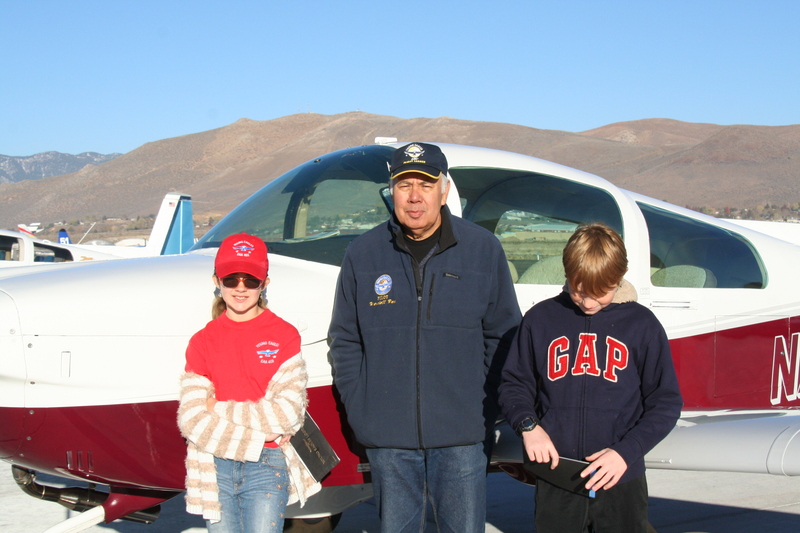 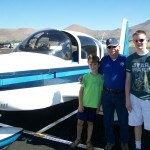 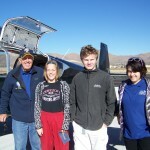 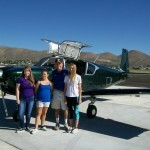 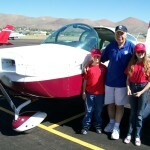 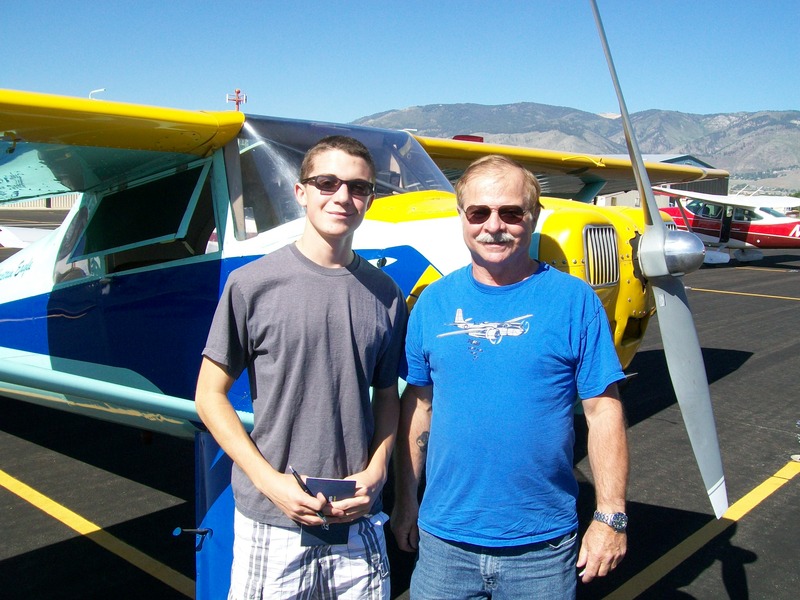 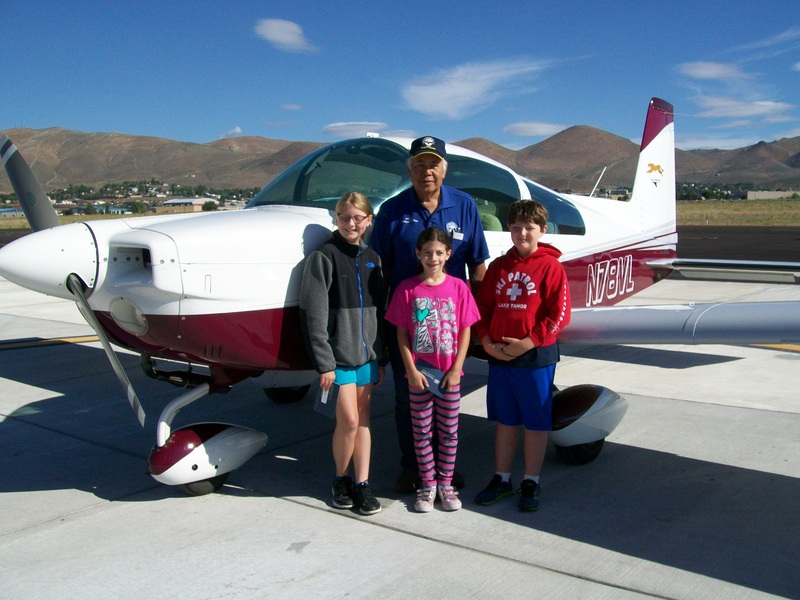 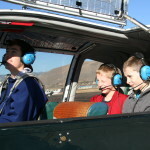 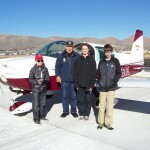 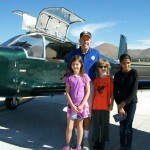 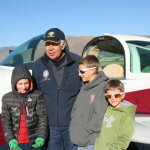 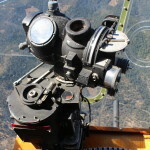 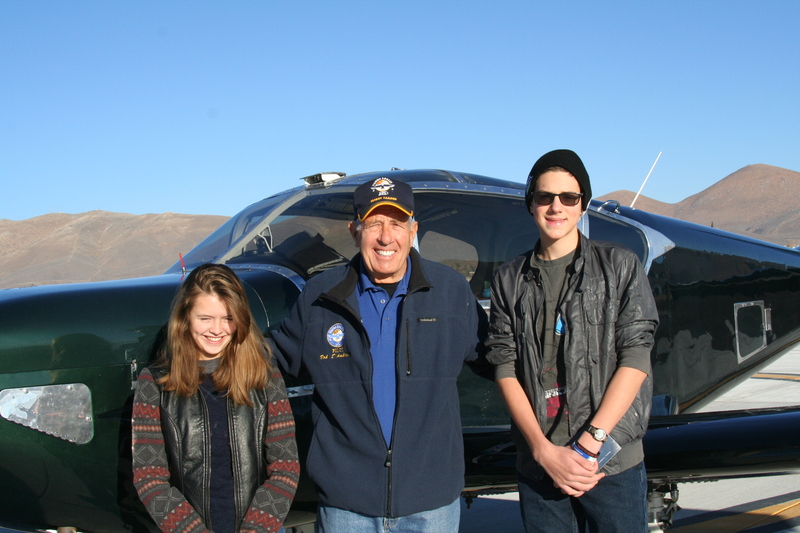 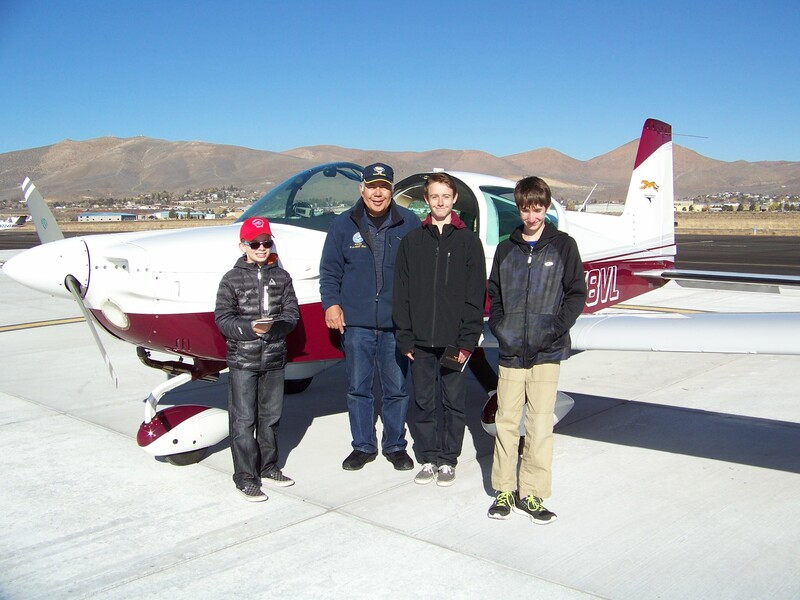 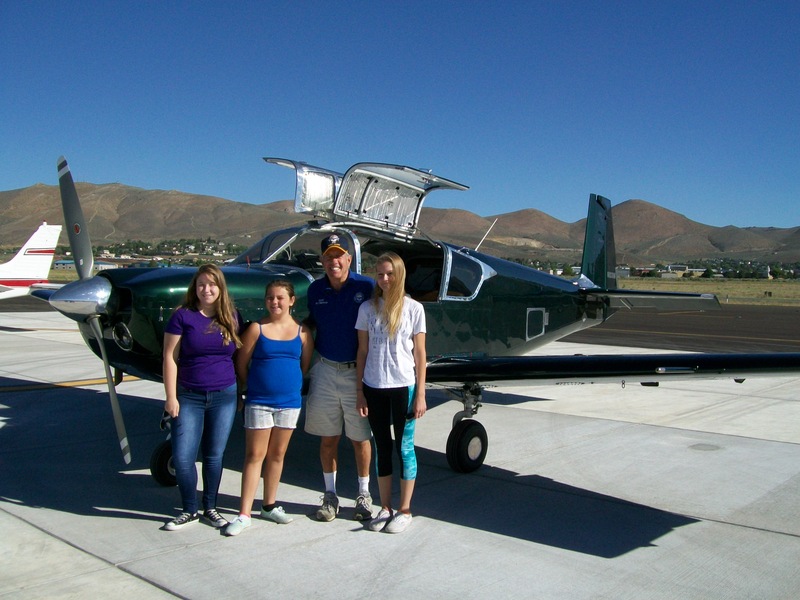 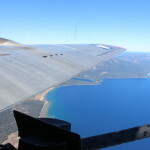 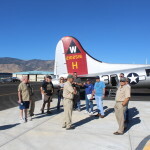 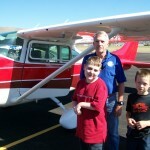 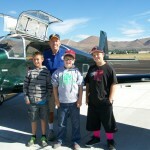 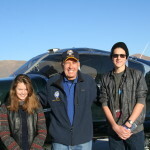 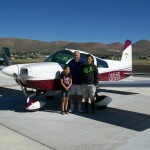 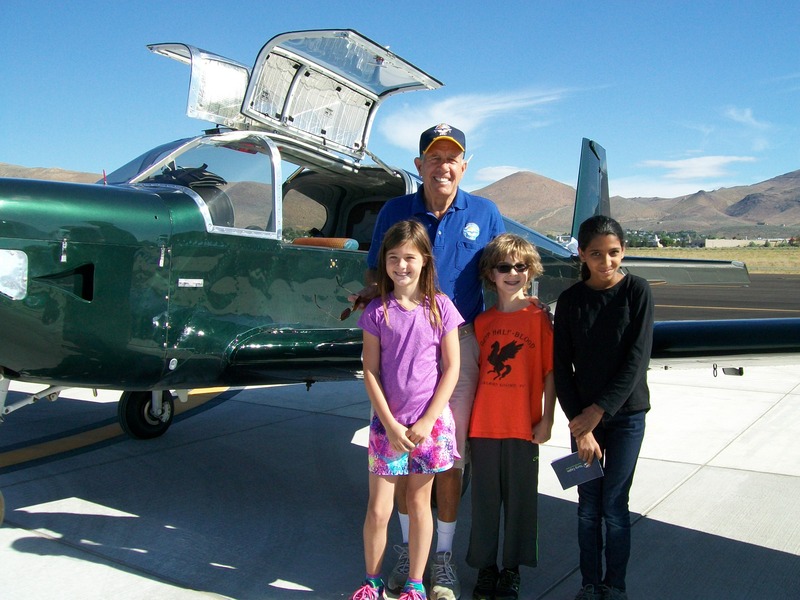 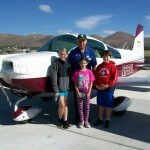 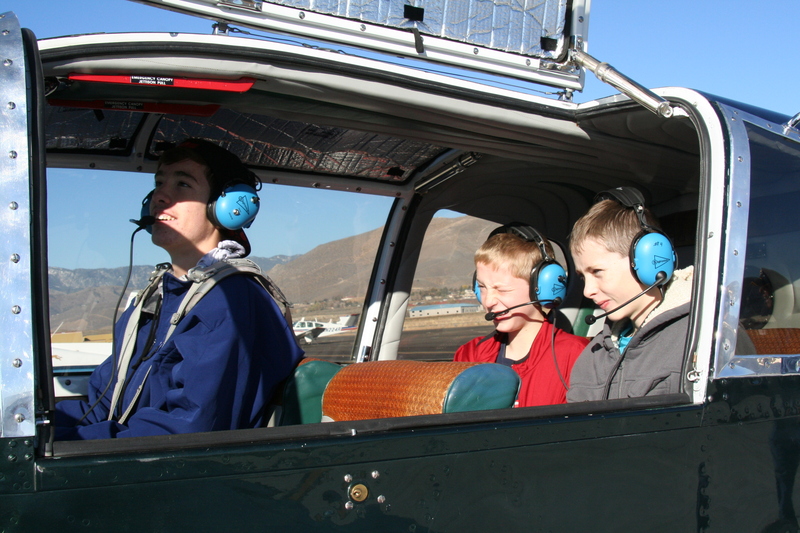 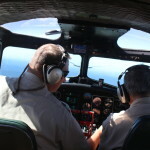 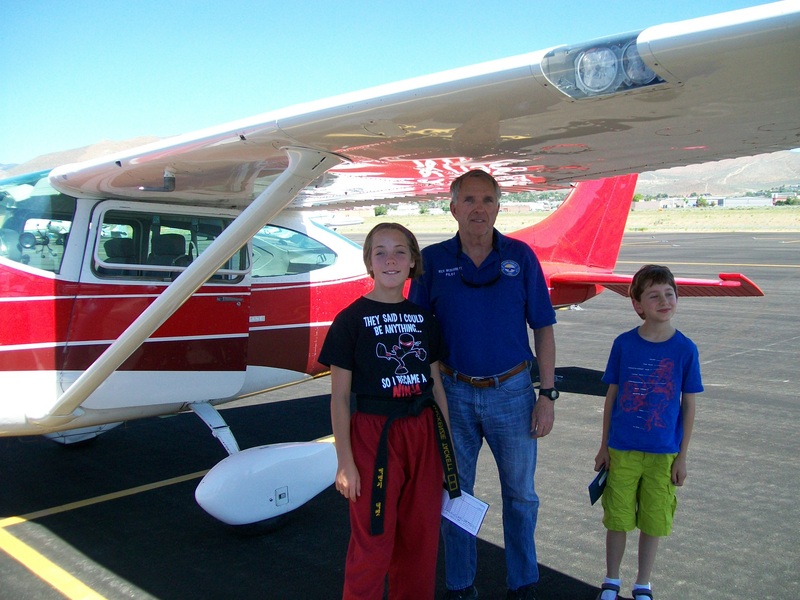 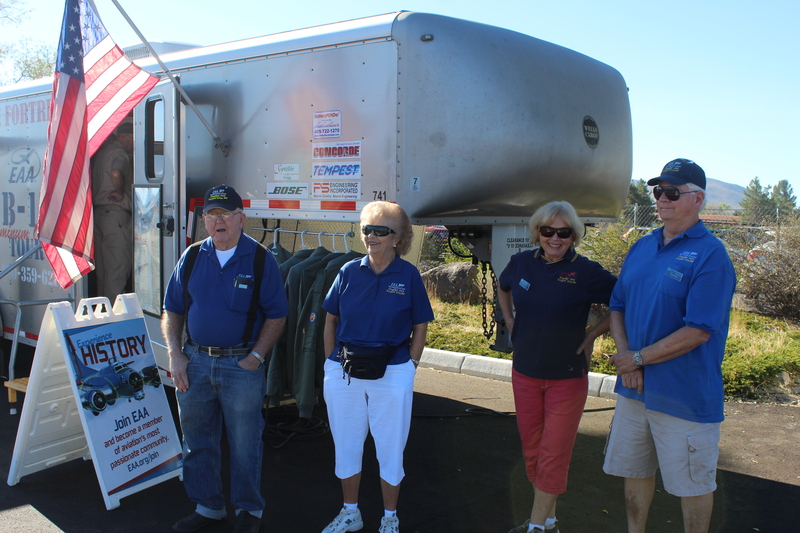 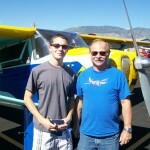 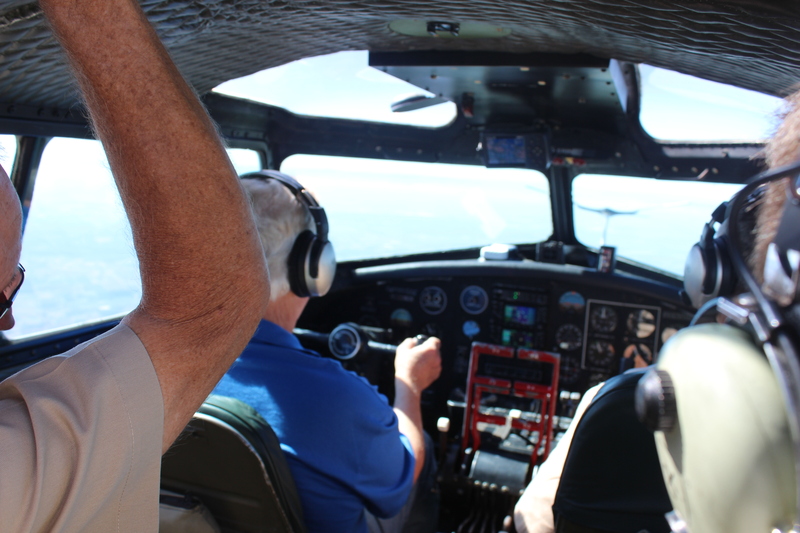 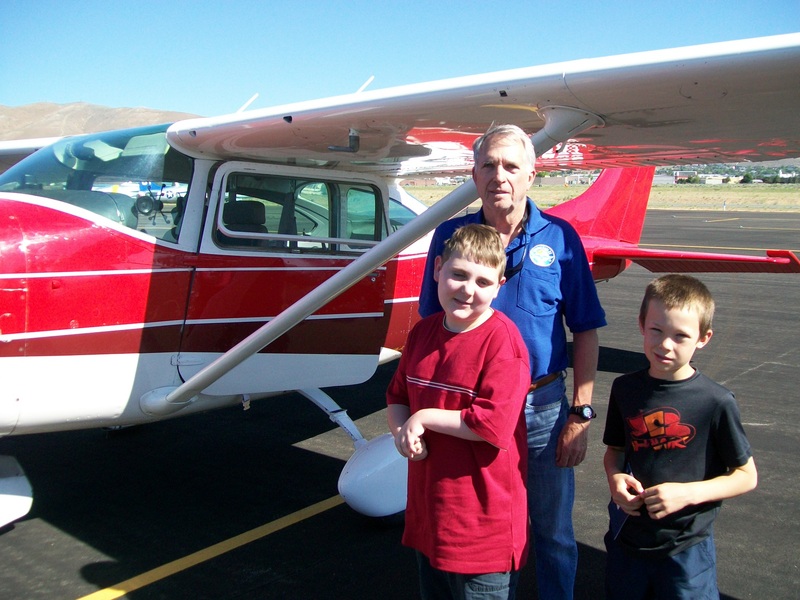 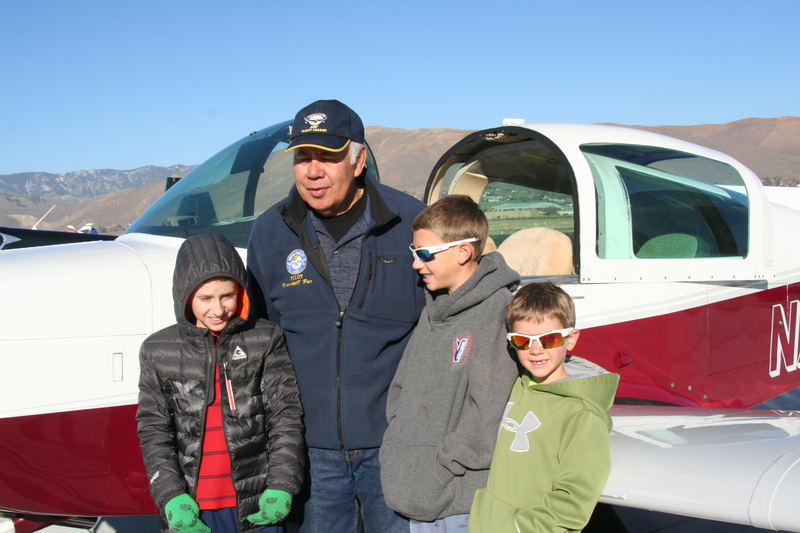 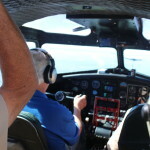 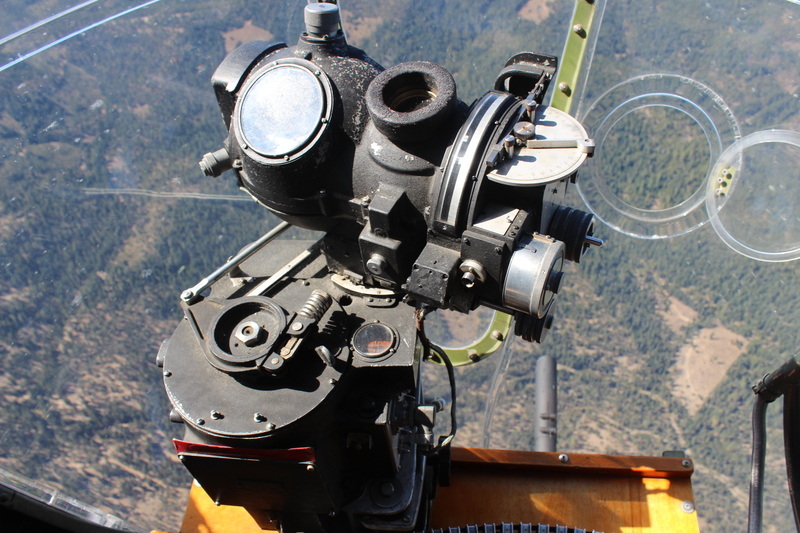 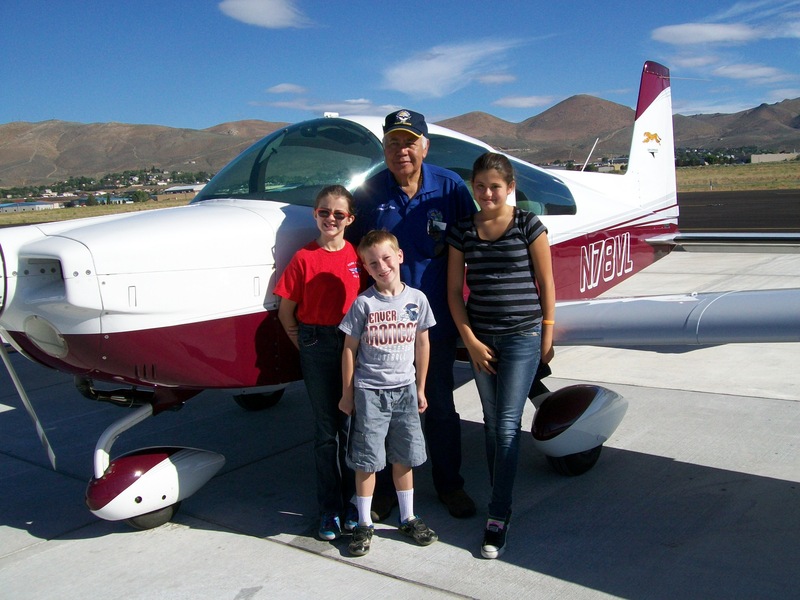 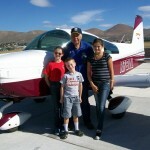 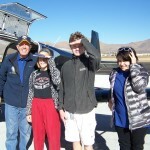 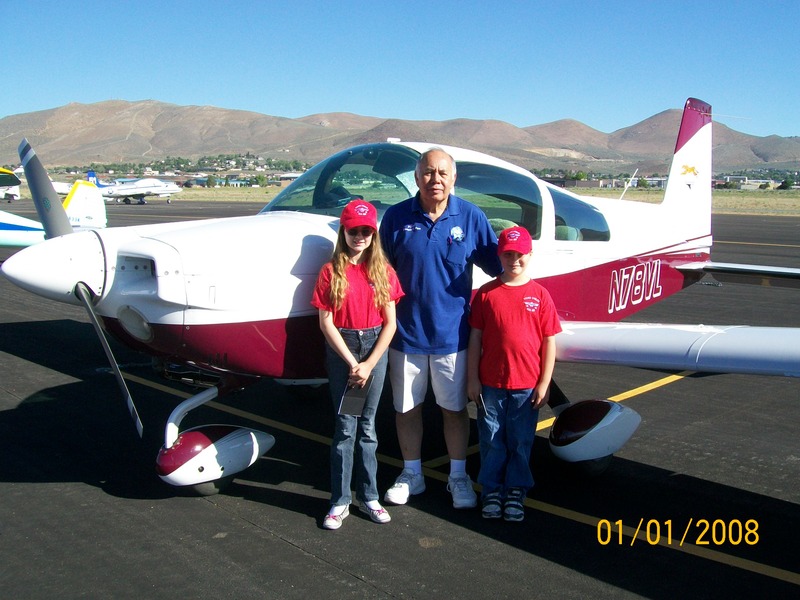 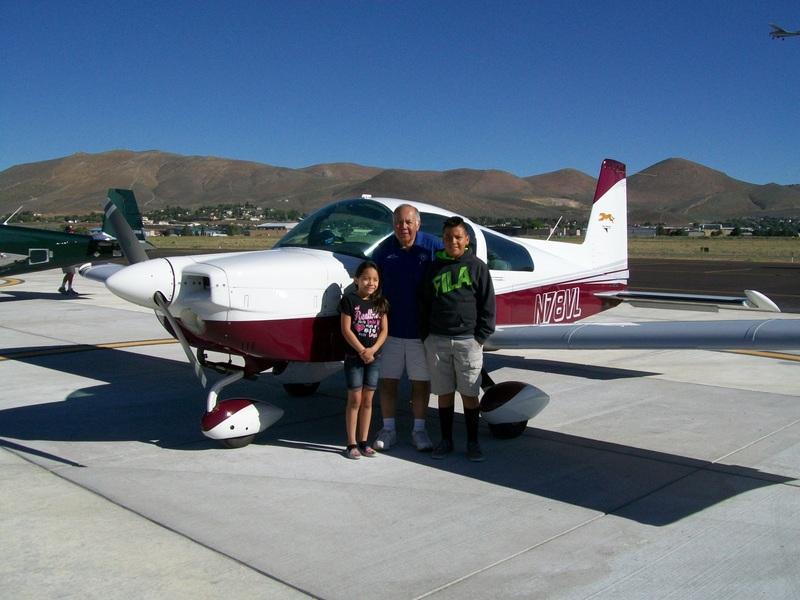 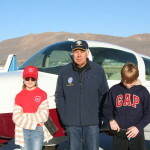 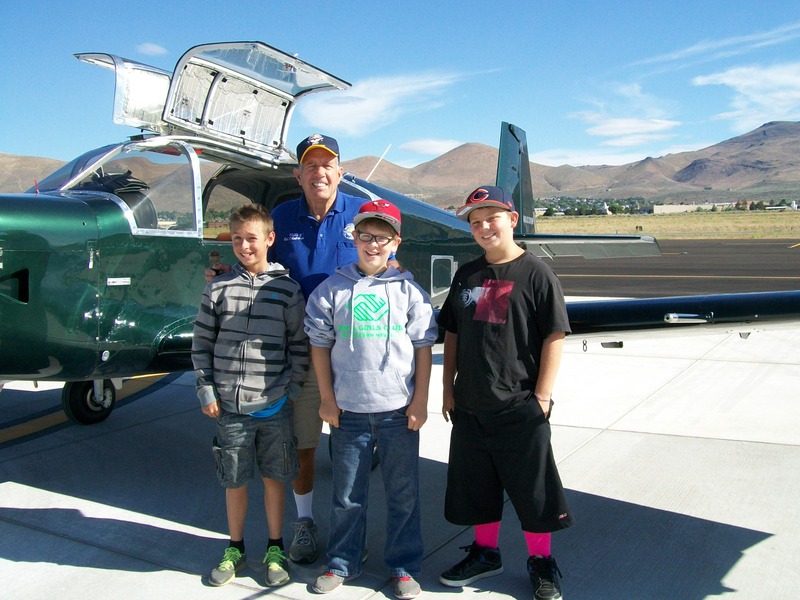 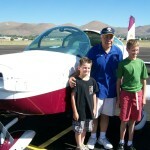 It took up one last group of riders Wednesday morning before leaving for Hayward with six EAA403 volunteers on board. 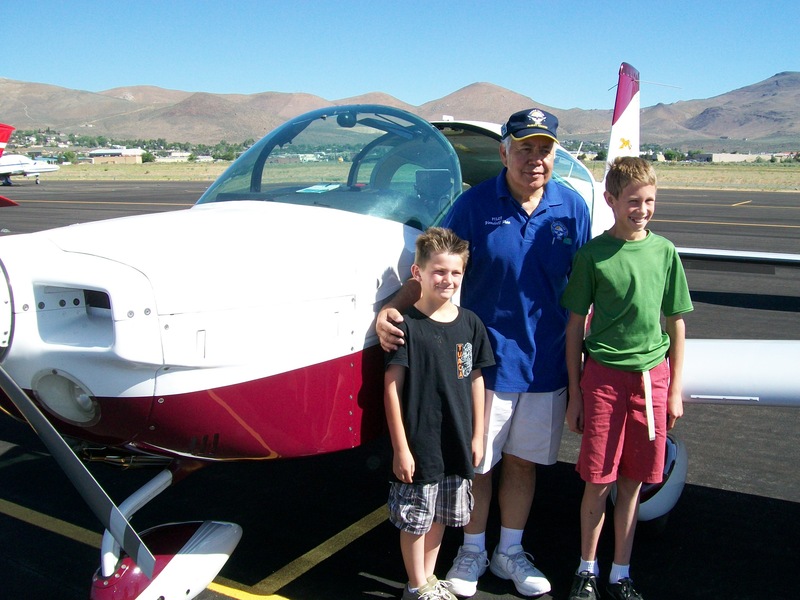 They said it was quit an experience. 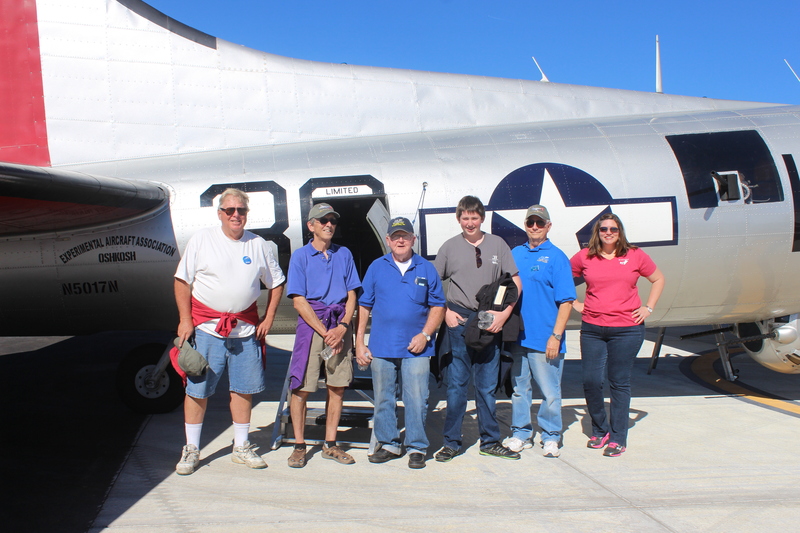 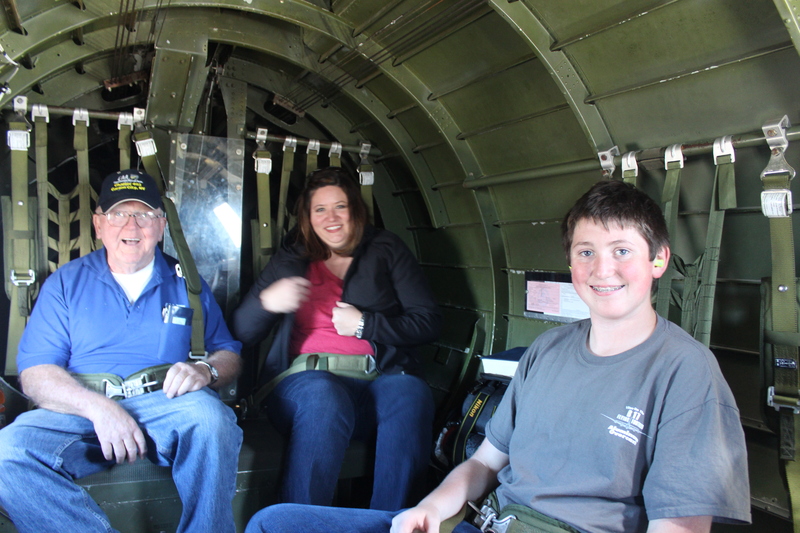 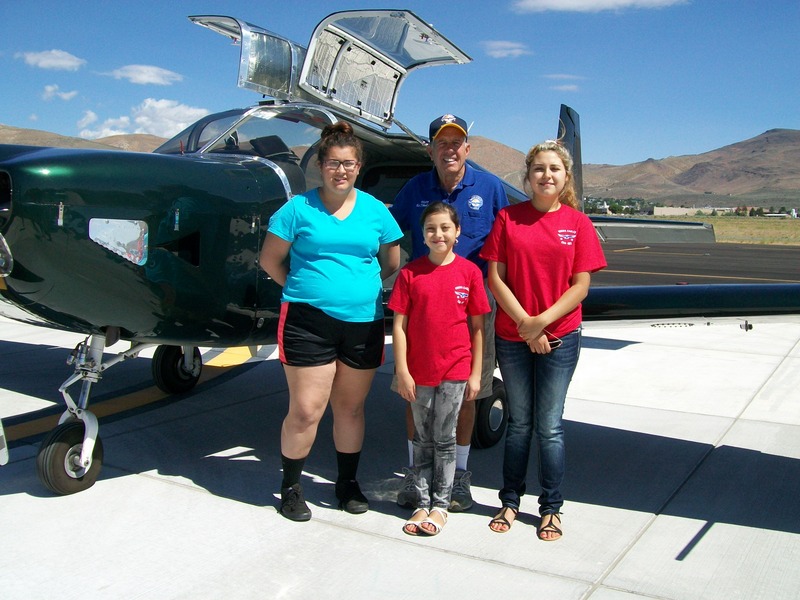 It was the many EAA403 volunteers that made this event the best possible. 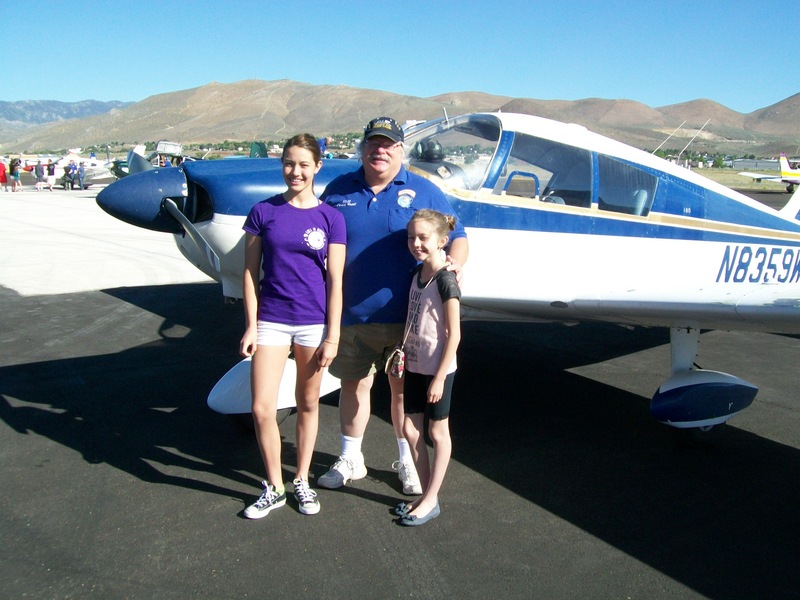 Shop AmazonSmile and help our chapter! 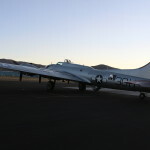 Not yet Registered on this site? 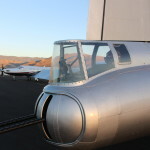 NOTE: After you have completed your website registration the webmaster will check that you are a dues-paid member of EAA Chapter 403 and then adjust your website membership to give you Chapter Member access. 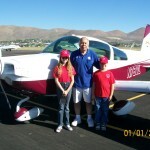 In the future, payment of your dues through the website will accomplish this automatically. 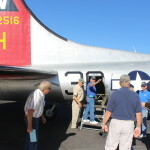 If you have already registered, log into the website using your credentials in the section to the right. 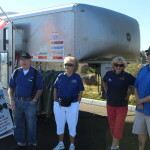 Do Not register multiple times. 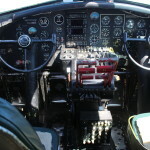 If you have forgotten your password, click on the link to reset it. 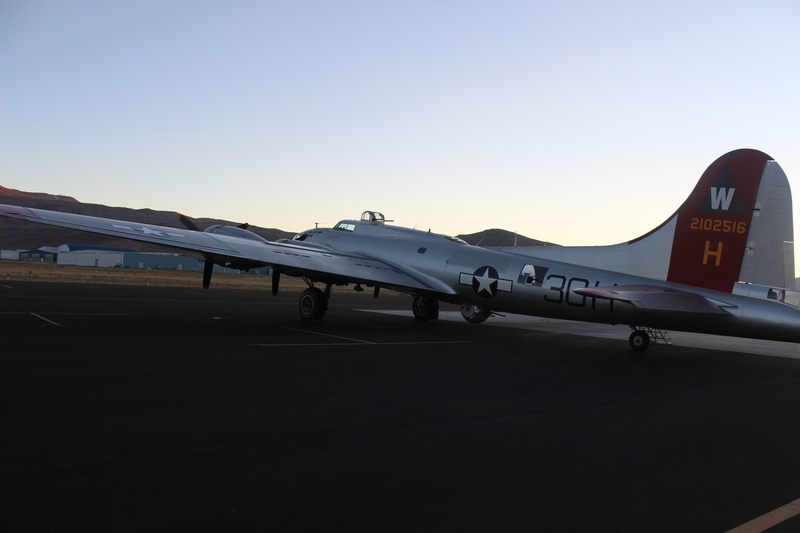 © Copyright 2015 EAA Chapter 403 · All Rights Reserved.